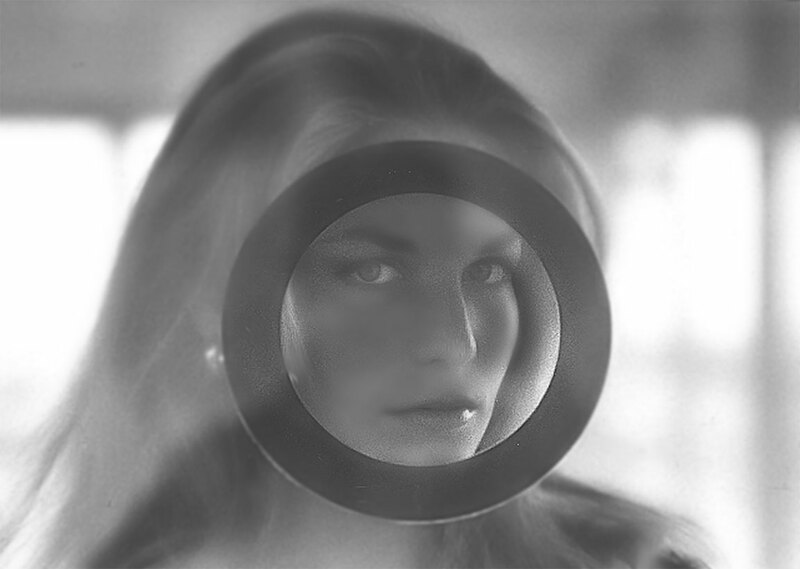 Chris Marker, born Christian François Bouche-Villeneuve in Paris, in 1921, is considered to be the finest exponent of the ‘essay film’ and is best known for his cult sci-fi, post-apocalyptic, time-traveling romance, La Jetée (1962). 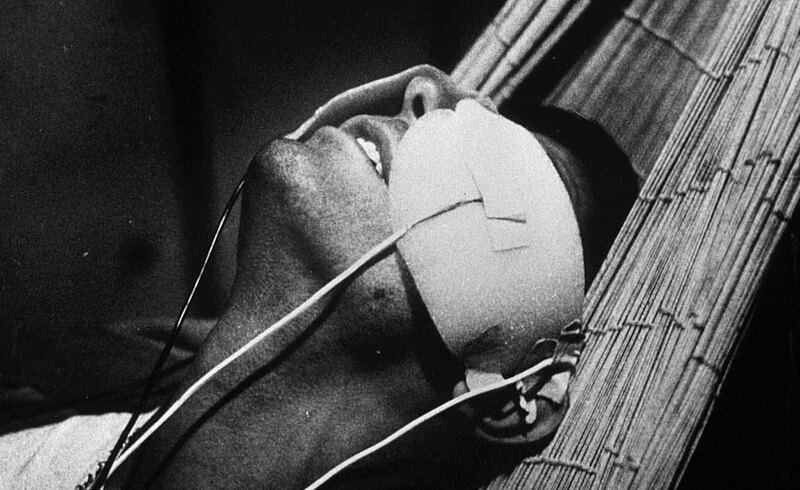 At just 28 minutes long and comprised solely of still photographs, La Jetée is an enduring masterpiece; understated and minimal yet sweepingly epic. Unsurprisingly, it is given its own room here. Furthermore, The Whitechapel have a rare treat for Marker aficionados; this version of La Jetée has an alternative opening sequence. But the question on this exhibition’s lips is ‘Wanna know more?’ What lies beyond the jetty? The curators of A Grin Without a Cat have set themselves the task of exploring the wider scope of Marker’s extraordinary practice, from filmmaker to photographer, writer, editor, poet, cartoonist and activist. The exhibition includes five multimedia installations, a series of travel books called Petite Planète (1954-58) covering countries that inspired his first ‘photo essays’ and a large selection of photographs from his extensive Staring Back series that ran from 1952-2006. Marker rarely gave interviews, resisted being photographed, and was a serious cat lover. When he was asked for photographs of himself he would often send an image of a cat instead. 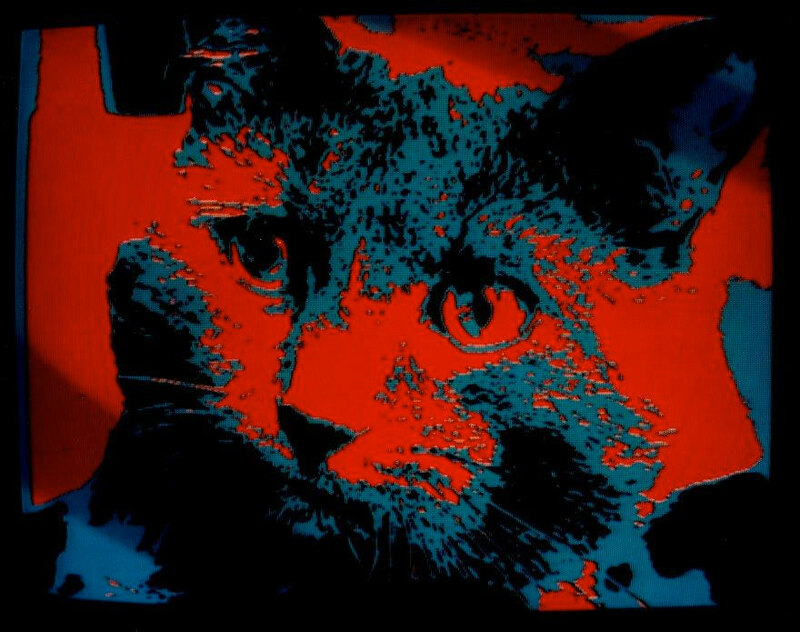 In later life he worked with digital art forms, adopting the online persona of a cartoon cat called Guillaume-en-Egypte. Guillaume is our introduction, leading us in to the first gallery with a question and acting as the Whitechapel’s statement of intent. The exhibition meditates on various key themes in Marker’s practice: the Museum, Travel, Image & Text, and War & Revolution. This attempt to categorise his work is perhaps a useful curatorial exercise, but as an exhibition structure is somewhat unnecessary. The exhibition proper starts with Ouvroir: The Movie (2010), a guided tour given by Guillaume-en-Egypte around a virtual museum Marker created on the website Second Life. 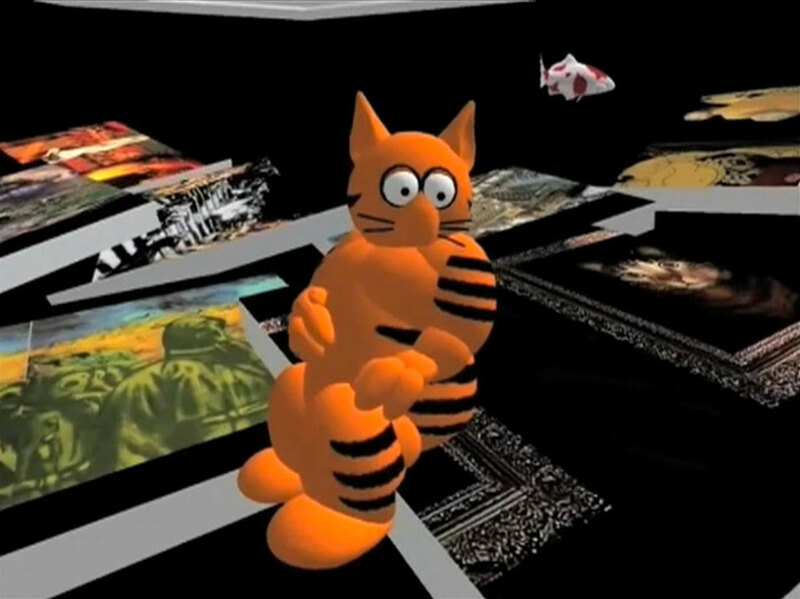 Here, we are introduced to a lesser-known area of his practice; cartoon cats, CD-ROMs and the noisy, multi-coloured, multimedia installation Zapping Zone (Proposal for Imaginary Television) (1990-94). These works seem to both reflect and predict the pervasiveness and persuasiveness of contemporary digital and online culture. Zapping Zone imagines a televisual realm in which digital interaction becomes structured by, and informative of, the personal mythologies of the user, inferred with low-fi ‘90s graphics, advertising, politics and loads of flashing, gaudy colours. This is a currency that resonates with a great deal of contemporary post internet art, however, while the latter often (somewhat conservatively) uses digital culture as little more than a limited code of aesthetics, Marker engages in the zapping zone as provocative and propositional, imagining subjectivities emerging through, and expanded by, television. 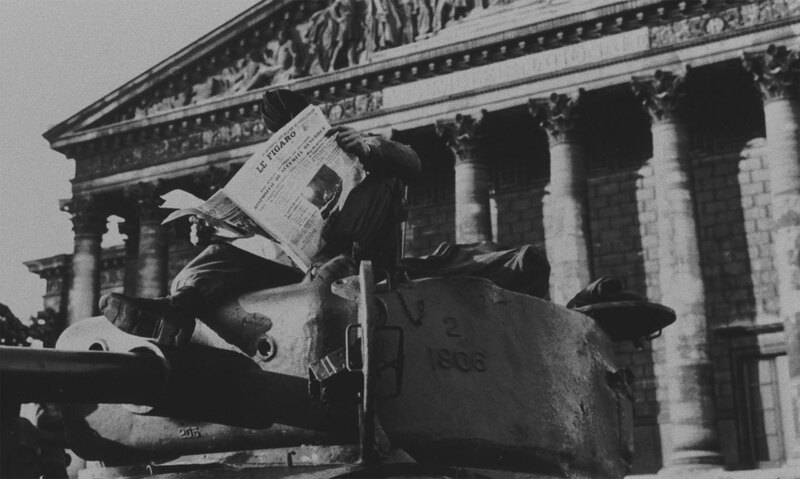 This is curated in conversation with the essay film Les Statues Meurent Aussi (Statues Also Die) from 1953. Co-directed with Alain Resnais, the film won the 1954 Prix Jean Vigo and is a challenging exploration of the appropriation and misinterpretation of African culture by colonial powers and Western art and design from the 19th Century up to the time when the film was made. In relation to Zapping Zone, this work explores the subsuming and revising of mythologies and subjectivity from a very different position of privilege. The eponymous statues die robbed of the identity, mystery and magic with which they were once imbued. The film is a sharp critique of Empire and the rhetoric (more prevalent at the time) concerning the so-called benefits of colonialism to the nations that were once occupied. The anti-colonialist sprit of this unflinching polemic resulted in the film being heavily edited in France, the original being banned for over a decade and not shown there until 1968. Le Joli Mai (1963), a portrait of Paris and Parisians just after the Algerian War of Independence engaging with individuals on the street in a journey, as intimate and individual as it is political and international. The exhibition ends with Marker’s most political work A Grin Without a Cat (1977), the work that gives this retrospective its name. The title refers to the Cheshire Cat from Alice in Wonderland, using his fugitive and illusionary nature as a metaphor for the rise and fall of new left wing politics, particularly in France and Latin America in the ’60s and ’70s. The original title was Le fond de l’air est rouge (The essence of the air is red) implying the sad failure of ‘red’ social idealism that, in the end, existed only in the air. In Marker’s turbulent, shifting, mesmerising practice, more is never enough.